The FABP2 gene variant Ala54Thr has been proposed as an important risk marker for insulin resistance, obesity, diabetes, and metabolic syndrome (MetS). 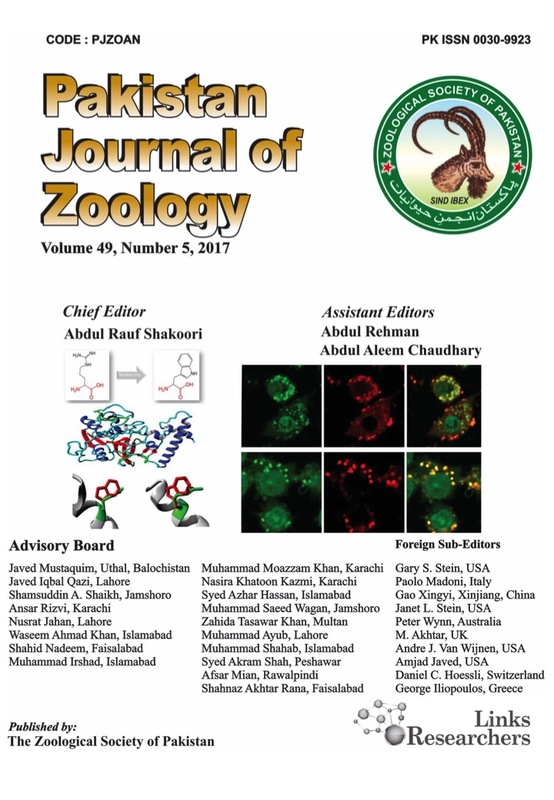 In this study the association of Ala54Thr polymorphism with MetS and its risk components was studied in a local Pakistani population. MetS subjects and controls were recruited from out-patient departments of Pakistani hospitals. Ala54Thr genotyping of 200 MetS patients and 200 healthy controls was performed using a PCR-RFLP. Genotype and allele frequencies were calculated and computed for genetic associations presented as odds ratios (ORs) with a threshold of p≤0.05 to determine statistical significance. The frequency of 54Thr allele of FABP2 significantly associated with MetS risk in Pakistani population. Our results showed that frequency of the FABP2 54Thr allele was significantly higher (67%) in MetS cases as compared to controls (35%)(p<0.0001). The 54Thr allele carriers were at increased risk of MetS (OR=3.93, CI=2.09-7.39, p<0.0001) and obesity (for each SD change in BMI, OR=2.00, CI=1.73-2.32, p<.0001). Our genetic study in a population at risk of MetS highlights the strong association of FABP2 54Thr allele with disease and provides further evidence for the involvement of intestinal fatty acid binding protein in the pathogenesis of MetS. BMYC and GKR designed the study and did statistical analysis. MS, WS, PAS, BMYC and GKR wrote the manuscript. HK, MF, AM, RAQ and MS analysed the samples. T2D, Obesity, Diabetes, SNP genotyping, Waist circumference. Metabolic syndrome (MetS) is considered a combination of various acquired or inherited metabolic complications such as obesity (especially abdominal), insulin resistance, dyslipidemia, and hypertension (Alberti et al., 2006). According to the International Diabetes Federation (IDF) consensus, about one quarter of the adult world population has MetS. Individuals with MetS are considered highly susceptible to Type 2 Diabetes Mellitus (T2D), cardiovascular diseases (CVD) and nonalcoholic fatty liver disease. The susceptibility of an individual or ethnic group to the development of MetS has been attributed to both environmental and genetic factors (Takakura et al., 2005; Fiaz et al., 2016). Major environmental risk factors include sedentary life style, unhealthy eating habits and excess body weight leading to metabolic disturbances such as raised levels of fasting blood glucose, low-density lipoprotein cholesterol (LDL-C), triglycerides and total cholesterol along with hypertension. Several genetic factors have been reported for the association with MetS risk components (Gomez et al., 2007). FABP2 Ala54Thr variant is one of them that has been reported as a risk marker for MetS and its related health complications in various ethnic groups around the world (Feher Turkovic et al., 2012; Joy et al., 2008). The FABP2 gene encodes human intestinal fatty acid binding protein. The protein is specifically expressed in intestinal enterocytes (Levy et al., 2001) and is involved in the transport and metabolism of saturated long-chain fatty acids (Montoudis et al., 2008; Pelsers et al., 2003). The FABP2 gene has been proposed as an important marker for insulin resistance and glucose metabolism (Levy et al., 2001). The Ala54Thr missense polymorphism (rs1801273) has been associated with an increase in the concentration of fasting insulin, high rate of fat oxidation, elevated concentrations of fasting and postprandial triglyceride-rich lipoproteins and reduction in uptake of insulin-stimulated glucose (Vimaleswaran et al., 2006). These complications might develop into deleterious phenotypic expressions like insulin resistance, obesity, T2D and MetS. In a study of South Indians, carriers of the 54Thr allele were more likely to have MetS compared to non-carriers. However, the association of Thr54Ala genotype with the prevalence of MetS in other South Asian ethnic groups like Pakistanis is largely unknown. With regards to Pakistani populations, several published studies reported an alarming increase in T2D (Hakeem and Fawwad, 2010; Jafar et al., 2004) obesity (Kamran et al., 2014; Sherin, 2014) and CVDs (Mahmood et al., 2010; Dodani et al., 2004) along with other associated risks (Jafar et al., 2003, 2006). All studies clearly indicate a high susceptibility of Pakistani population to general metabolic health complications, especially MetS, due to an increasing trend towards unhealthy and sedentary life style. However, there still is a major gap in finding the genetic susceptibility of Pakistanis towards T2D, obesity, CVD and related health complications. Genetic markers for MetS have been explored in different ethnic groups worldwide including Indians (Guettier et al., 2005; Vimaleswaran et al., 2006). Of these markers, the Ala54Thr variant of FABP2 gene has been typed extensively because of the strong association of Thr54 allele with T2D, obesity and associated metabolic complications. The Thr54 allele frequency is also reported (http://browser.1000genomes.org) to be higher in South Asians (31%) as compared to other ethnic groups across the globe (22-27%). Therefore, the present study was designed to genotype healthy and MetS diagnosed subjects for Ala54Thr polymorphism. The association of this polymorphism with obesity-related phenotypes was also performed. As the population in Pakistan is of South Asian ethnicity, we hypothesised that there is a strong association of FABP2 polymorphism with MetS and its risk components. The study cohort included 200 healthy controls were randomly selected having no signs and symptoms of MetS and 200 diagnosed MetS patients (cases) recruited from out-patient departments of Medicine, Shaheed Zulfiqar Ali Bhutto Medical University, Islamabad, Pakistan. This study was approved by the Ethics Committee for the Use of Human Subjects, PMAS-Arid Agriculture University Rawalpindi, Pakistan. Written informed consent was obtained from all study participants. The criteria for MetS diagnosis were based on the IDF definition (Alberti et al., 2006). According to IDF, the following traits should be present: central obesity (waist circumference (WC) >94 cm in men and >80 cm in women) plus any two or more of the following abnormalities: high fasting blood glucose (≥100 mg/dL), hypertriglyceridemia (≥150 mg/dL), low HDL-cholesterol (<40 mg/dL in men and <50 mg/dL in women), or high blood pressure (≥130 mmHg systolic or ≥85 mmHg diastolic). All procedures were performed by trained medical staff in relevant hospitals. Blood pressure was measured using a digital sphygmomanometer after at least 5 min rest. Overnight fasting blood samples were drawn for biochemical profiling and genomic DNA extraction. All required clinical tests, including fasting blood glucose/blood sugar fasting (FBG), triglycerides (TG), low density lipoprotein-cholesterol (LDL), and high density lipoprotein-cholesterol (HDL), were performed in the hospital laboratory on a Microlab 300 chemistry analyzer using commercial kits (Merck, Germany). For anthropometric measurements, systolic and diastolic blood pressure (SBP and DBP) was recorded using digital sphygmomanometer (Rossmax). Body weight (kg) and height (cm) were recorded in light clothing with no shoes on and body mass index (BMI) was calculated as weight (kg)/height (m2). For WC measurement, a flexible non-stretchable measuring tape placed midway between the lowest rib and the iliac crest was used (Carlsson et al., 2000). All study subjects, case and control groups, were subjected to similar clinical protocols. Genomic DNA was extracted from whole blood using a standard phenol/chloroform method (Sambrook and Russel, 2001). Genotyping was performed using a modified PCR-RFLP protocol with primers, as reported earlier (Albala et al., 2004, 2007; Vimaleswaran et al., 2006) in a final assay volume of 25μl containing; 3mM MgCl2, 2.5U Taq polymerase, 1x PCR Buffer (Tris-HCl), 0.5mM dNTPs, 0.6μM primers, and genomic DNA. The thermal profile was as follows: initial denaturation at 94oC for 3 min followed by 30 cycles of; denaturation 94oC/30 seconds, annealing 55oC/30 seconds, extension 72oC/30 seconds and final product extension at 72oC/3 min. The amplified PCR products (180bp) were digested with 10U of HhaI restriction enzyme (Thermoscientific, USA) at 37oC for 4 h. As reported earlier (Albala et al., 2007), the PCR products with HhaI enzyme restriction site corresponded to Ala54Ala genotype. The 54Ala polymorphism is confirmed with cleavage of 180bp PCR product into 99bp and 81bp size bands (Fig. 1). The 54Thr polymorphism abolishes the HhaI enzyme restriction site resulting in un-cut 180bp band. A few randomly selected PCR products were also sequenced (Macrogen, Korea) in order to confirm polymorphic site in our subject population. For sequencing purpose, PCR amplified products were first purified using GeneJETTM PCR purification kit (Thermoscientific, USA). The obtained sequences were analyzed using Chromas.exe and BioEdit softwares. Statistical analyses were performed with SAS version 9.3 (SAS Institute Inc, Cary, NC). Means and SD were computed for all descriptive characteristics by case-control status. Differences in characteristics between controls and cases were assessed using t-test. Likelihood-ratio test statistics were used to calculate Hardy-Weinberg equilibrium (HWE) for Ala54Thr genotype. As the study consisted of two separate population groups, MetS cases and controls, so HWE was applied separately to both groups. Previous reports suggested that the diseased/case population sub-group could deviate from HWE as compared to the control (Anderson et al., 2010; Lunetta, 2008; Wittke-Thompson et al., 2005). Logistic regression modeling was applied to assess the association of Ala54Thr genotype with the risk of MetS while controlling for age, gender, and BMI using a dominant genetic model. All continuously measured covariates (i.e., age and BMI) are presented per SD change from population mean. The Ala54Ala homozygotes served as the reference group in the models. Odds ratios (ORs) and 95% confidence intervals (CI) were calculated. Models were also run for comparing 54Thr risk allele carriers to Ala54Ala homozygotes. Statistical significance was considered as p value ≤ 0.05. A total of 400 subjects were included in the study but due to missing values only 388 observations were included in the dataset for statistical analysis. The mean age of study subjects was 41.4 years for controls and 44.2 years for MetS diagnosed cases. Out of 388 total study subjects, 61.6% were male and 38.4% females with mean age 43 and 41 years, respectively. The healthy control subjects had a mean BMI of 24.26 ± 2.31 (Kg/m2) as compared to 28.99 ± 3.09 (Kg/m2) in MetS subjects (p=0.0001). The anthropometric and MetS related characteristics (Mean ±SD) for cases and controls are presented in Table I. The MetS subjects (cases) had significantly higher (p=0.0001) WC, FBG, TG, SBP and lowered HDL as compared to healthy controls. There was a lack of association with LDL (p=0.11) levels and DBP (p=0.06) among controls and cases. Table I.- Characteristics (Mean ± SD) of study subjects by case-control status. WC, waist circumference; BMI, body mass index; FBG, fasting blood glucose; HDL, high density lipoprotein; LDL, low density lipoprotein; TG, triglyceride; SBP, systolic blood pressure; DBP, diastolic blood pressure. Genotype and allele frequencies for controls and cases were also computed; the results are provided in Table II. The frequency of the 54Thr risk allele was significantly higher (67.25% p=0.0001) in MetS cases as compared to controls (35.38%). The homozygous Thr54Thr genotype frequency was 52.5% in MetS and 13.3% in controls. The heterozygous Ala54Thr genotype frequencies were 29.5% and 44.1%, respectively, in cases and controls. Table II.- Ala54Thr genotype and allele frequencies for FABP2 polymorphism (n = 400). Table III.- Association of FABP2 Ala54Thr genotype with risk of metabolic syndrome. The logistic regression models (Table III) showed that Thr54Thr homozygotes had almost 14 times greater risk (OR=13.8, 95% CI=5.7-33.7) of having the MetS compared to Ala54Ala homozygotes. Similarly, when we combined carriers of the 54Thr risk allele, we found that 54Thr allele carriers had about four times higher risk of having the MetS compared to Ala54Ala homozygotes (OR=3.9, 95% CI=2.1 – 7.4). According to logistic models, males had 1.7 times more risk of MetS as compared to females (OR=1.71, 95% CI=0.89 – 3.30). Likewise, males carrying the Thr54 risk allele had 1.54-fold disease risk (OR=1.54, 95% CI=0.83 – 2.85) as compared to non-carriers. In addition, older individuals carrying Thr54 risk allele had higher disease risk (OR=1.05, 95% CI=1.01 – 1.09) than those younger (8.3 years) in age. As for BMI, 54Thr allele carriers had raised BMI (3.62kg/m2) and two-fold risk of developing MetS (OR=2.0, 95% CI=1.73 – 2.35) as compared to non-carriers. Our study clearly demonstrates a strong association of the 54Thr allele of the FABP2 Ala54Thr polymorphism with MetS The 54Thr risk allele carriers had elevated BMI, and more likely to be of advanced age and male gender. The protein encoded by FABP2, intestinal FABP, plays an important role in the absorption and intracellular metabolism of dietary fatty acids and may, therefore, influence insulin sensitivity. The Ala54Thr polymorphism of FABP2 gene is now a well-established marker for various metabolic complications after being studied in different world populations and ethnic groups. As 54Thr is considered as a universal disease risk allele so our results also confirm significantly high frequency of 54Thr risk allele in MetS cases as compared to healthy controls (Table II). Likewise, 54Thr allele carriers (homozygous Thr54Thr and heterozygous Ala54Thr genotypes) showed significantly high risk of having MetS as compared to the 54Ala allele carrying subjects (Ala54Ala homozygotes). Our results indicate BMI and older age as strong predictors of MetS risk especially in 54Thr allele carriers. Overall our study population lacked any dominant effect of gender with respect to MetS susceptibility and 54Thr risk allele presence. Abnormalities associated with MetS lead to increased risk of T2D and CVD (Bruce and Byrne, 2009; Grundy et al., 2005). Several genetic determinants of MetS are recognized and explored for their populations/ethnic based associations with phenotypic risk markers for early disease diagnosis, prevention and treatment (Joy et al., 2008). Risk allele frequency and genetic associations of FABP2 gene Ala54Thr SNP polymorphism with disease phenotypes like insulin resistance, diabetes, MetS etc. have been reported (Albala et al., 2007; Baier et al., 1995; Carlsson et al., 2000; Georgopoulos et al., 2000; Joy et al., 2008; Weiss et al., 2002). The frequency of the risk allele, 54Thr, differs markedly (0.29-0.45) among several world populations and disease phenotypes (Feher Turkovic et al., 2012; Georgopoulos et al., 2000; Guettier et al., 2005; Kim et al., 2001; Vimaleswaran et al., 2006). In the present study, the frequency of the 54Thr allele was 67% in MetS cases as compared to 35.4% in healthy controls. The homozygous Thr54Thr genotype frequency (52.5%) was much higher in MetS cases as compared to controls (13.3%). However, a high proportion of the study population was found to be heterozygous for Ala54Thr FABP2 polymorphism (44.1% controls and 22.4%) in our study population. Despite higher proportion of heterozygotes, the frequency of 54Thr risk allele was 67.25% in MetS subjects of present study (Table II), whereas a frequency of 42.4% has been reported in an obese Pakistani population (Hasnain, 2015). Our results seem to indicate a higher carrier rate of FABP2 risk allele in MetS subjects as compared to simple obese ones. Thus, the overall higher ratio of 54Thr allele in the present study population reflects the increased number of FABP2 polymorphism heterozygotes as compared to other world population groups. Besides, we identified MetS as the phenotype, whereas previous studies primarily focused on Type 2 diabetes or insulin resistance. Type 2 diabetes is a heterogeneous disease with a multitude of susceptibility genes. Another possibility for the high risk allele frequency because our study population is more homogeneous ethnically than studies on Pakistanis residing in Europe and North America (Albala et al., 2007; Baier et al., 1995; Carlsson et al., 2000; Georgopoulos et al., 2000; Joy et al., 2008; Weiss et al., 2002). The significance of the different components of MetS in our population is noteworthy. BMI, WC, BSF, TG and SBP were all significantly (p<0.0001) elevated and HDL lowered in MetS population as compared to healthy controls. Interestingly, both control and cases population groups had ideal LDL levels (105-112mg/dL) compared to western populations, which might be due to dietary or genetic factors. The clustering of hypertension, dyslipidemia, dysglycemia, elevated BMI and WC overweight, diabetes and central obesity indicate that the development of MetS is not just a consequence of genetic susceptibility but also that of a sedentary and unhealthy lifestyle. Association of Ala54Thr polymorphism with different disease phenotypes have been explored (Albala et al., 2004; Beegom and Singh, 1997; Guettier et al., 2005; Takakura et al., 2005; Yamada et al., 1997; Zhao et al., 2010). Elevated total body/abdominal fat and BMI have been found to show a strong association with the 54Thr allele (Albala et al., 2004; Hasnain, 2015; Yamada et al., 1997). As previously reported, we also found a statistically strong association of BMI with the 54Thr allele. This strengthens the idea of a key role played by 54Thr allele towards weight gain and MetS development. Overall, present study confirms 54Thr allele of FABP2 gene being a strong risk marker of MetS which seems to exert its role through anthropometric trait BMI in a Pakistani population. In addition 54Thr allele carriers in their old age seem to be at higher risk of MetS development as compared to non-risk allele carriers. Although the 54Thr allele of FABP2 gene confers a high risk, a number of MetS subjects were carriers of Ala54 allele which seem to indicate genetic predispositions other than FABP2 Ala54Thr as well as the strong role played by environmental factors in disease development. Albala, C., Santos, J. L., Cifuentes, M., Villarroel, A. C., Lera, L., Liberman, C., Angel, B. and Pérez-Bravo, F., 2004. Intestinal FABP2 A54T polymorphism: association with insulin resistance and obesity in women. Obes. Res., 12: 340-345. 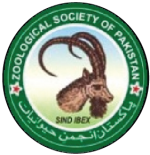 Fiaz, M., Rani, F., Saqlain, M., Mahmood, A., Shaiq, P.A., Naqvi, S.M., Qazi, R.A. and Raja, G.K., 2016. Identification of population specific risk phenotypes contributing towards development of metabolic syndrome. Pakistan J. Zool., 48: 949-955. Hakeem, R. and Fawwad, A., 2010. Diabetes in Pakistan: Epidemiology, determinants and prevention. J. Diabetol. 3: 4. Hasnain, S., 2015. The fatty acid binding protein 2 (FABP2) polymorphism Ala54Thr and obesity in Pakistan: A population based study and a systematic meta-analysis. Gene, 574: 106-111. Kamran, S.M., Iftikhar, R., Khan, A. and Altaf, M., 2014. Comparison of CAD risk factors in abdominal obesity versus General obesity with normal WC in adult males. J. Pakistan med. Assoc., 64: 394-398. Mahmood, M., Ashraf, T., Memon, M.A. and Achakzai, J., 2010. Abdominal obesity pattern among various ethnic groups presenting with acute coronary syndrome. J. Ayub med. Coll. Abbottabad, 22: 132-135. Sambrook, J. and Russell, D., 2001. Molecular cloning: A laboratory manual. Cold Spring Harbor Laboratory Press, Cold Spring Harbor, New York. Sherin, A., 2014. Obesity: How to prevent Pakistani people from getting heavier? Khyber med. Univ. J., 5: 59-60.